The International Consumer Electronics Show is a veritable electronics smorgasbord, full-to-brimming with televisions, tablets, telephones, and cameras. The iOS accessories market is no different, getting its very own dedicated pavilion at CES. Here are some of the standout products we’ve seen in both the iLounge Pavilion and the rest of the show floor throughout our CES travels. Use Scosche’s RDTX Pro and an iOS device to detect radiation. 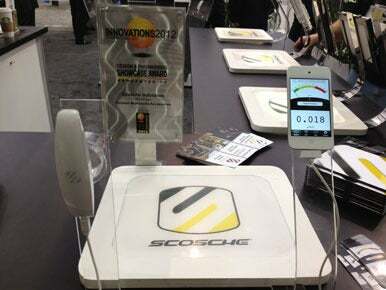 With Scosche’s $330 RDTX Pro, anyone with an iOS device will be able to accurately detect radiation levels around them. Originally made to detect radiation in post-tsunami Japan, the device will soon be available for consumers in the U.S. The RDTX Pro is significantly cheaper compared to other geiger counters on the market, but it’s just as accurate, according to a company rep we spoke to. Attach it to your iPhone and you’ll be able to see radiation levels on a compatible iOS app’s meter. The app also lets you share radiation readings with others, as well as see radiation levels across the globe. Using a desk dock or (in this case) a wall unit, you can charge up your iPad or iPad 2 with iPort’s LaunchPort. The first magnetically inductive charging system for your iPad—at least according to iPort—the $350 LaunchPort allows users to encase their iPad or iPad 2 in a case that can charge using a desk dock or wall unit using magnetic power alone. 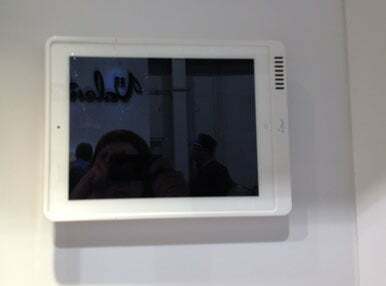 The case itself is neither bulky nor unattractive, and according to the LaunchPad team on hand at CES, the wall mount should be relatively easy for users to install themselves without needing an electrician or a degree in mechanical engineering. iPort even provides step-by-step videos for customers to help make the installation process go more smoothly. While the LaunchPort isn’t as nifty as outright wireless charging, it’s a step forward, and a beautiful step at that. We covered some of IK Multimedia’s new announcements in our weekly iOS accessories roundup, but the most impressive bit is the company’s $99 iRig MX, a fully-functional mixer for iOS devices. Like most of IK Multimedia’s offerings, the mixer connects through the headphone jack, and offers two stereo inputs, two XLR ports, stereo output, headphone output, dual mono mode, and a crossfader. While we didn’t have much hands-on time with the iRig, it looks to be a competent and economic solution for DJs and musicians on the go. Available for pre-order now, it ships in February. 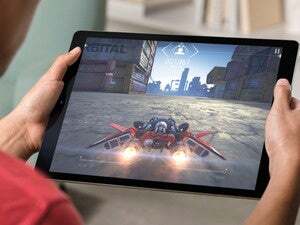 Gaming and robotics companies have continued to capitalize on the success of iOS devices, using Bluetooth and dock connector controls to develop all manner of strange and delightful accessories for your iPhone, iPod touch, or iPad. 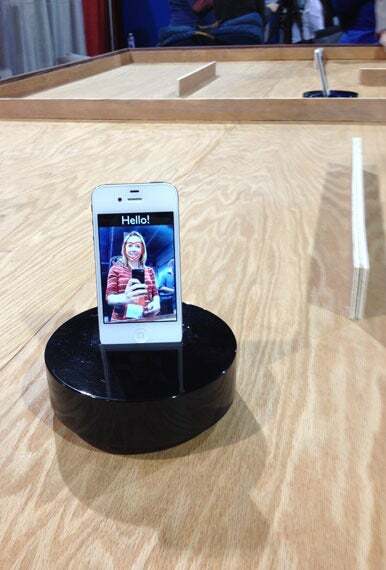 The Xybot is a motorized docking station you can control through a mobile app. Xybotyx Xybot: With the tagline “Mobile. Robot. Revolution.” (and we here at Macworld are not too sure how we feel about that), the $111 Xybot from Xybotyx (pronounced Zi-bot and Zi-bot-ix, respectively) aims to give your iPhone mobility. It’s a motorized docking station, which, when paired with one of the Xybotyx apps, allows you to remotely control the movement, video chat with others, and even give your Xybot commands. Company representatives told Macworld that the eventual plan is to use iOS apps as a sort of brain for the Xybot—which all sounds a little too much like the prelude to Skynet for our comfort. Sphero: Macworld first saw a Sphero prototype at last year’s CES; this year, the Bluetooth remote-controlled light-up ball is using the trade show as its coming out party, with two giant booths in both North and South hall, with little Spheros roaming the lobbies to boot. In the South Hall, interested passers-by could send their Spheros up ramps and through obstacle courses using one of five iOS apps released last December. In addition, Sphero is currently developing apps that would allow users to use the ball as a gaming remote: We had a chance to play a Maelstrom/Space Invaders prototype, where the $129 Sphero became our steering mechanism for the little ship on-screen, shaking it or tilting it a certain way to fire upon enemy ships and set off bombs. The company is still in the early stages for Sphero-as-controller, but we’re curious to see what they come up with; the Sphero itself (along with its first five apps) is available from the company’s website. Griffin Helo TC Assault: Griffin’s remote-controlled helicopter, the $60 Helo TC, received a clever—although potentially alarming—update for CES in the form of remote-controlled missiles. The new Helo TC Assault continues to use the same headphone-jack-control dongle, but adds a set of plastic orange missiles to either side of the tiny helicopter, which can be fired while flying and using the app. The missiles thankfully aren’t very strong, and don’t do much more than pinch when fired directly; still, we can see a few dogs and cats who might not be too happy with flying missile-shooting helicopters in the coming months. Steelseries Ion Controller: We got to take a look at Steelseries’ upcoming Ion Wireless Controller, a wireless game controller that will be able to connect via Bluetooth to your Mac and iOS devices. About the size of an iPhone, the game controller features two thumbsticks, four face buttons, two shoulder buttons, and a directional pad. The device felt comfortable in our hands, and it seems like it has the potential to be a hit, as long as there are compatible games. According to company representatives, Steelseries is working with several iOS game developers in order to make this happen. The controller is scheduled to be available in May or June 2012 at a price to be announced. Unsurprisingly, the road to CES iOS accessories was paved with many, many styluses. We saw quite a few while roaming the aisles of the iLounge pavilion—they haven’t quite outnumbered the case market just yet, but those pesky styluses certainly seemed to pop up where you least expected them. Out of the chaos, here are a few new designs that caught our eye. JustMobile AluPen Pro: Debuting at the show, JustMobile’s $40 AluPen Pro is the company’s professional answer to its best-selling AluPen stylus. The smaller, sleeker aluminum pen provides both a 7mm rubber nib and high-quality ballpoint tip, depending on what surface you’re writing. Like the AluPen, we found the AluPen Pro equally well-balanced and comfortable to hold, and the finish quality is quite excellent. Available now. The Gumdrop Stylus is one of the many iPad input devices on display at CES this year. Gumdrop Stylus: Hard Candy sister company Gumdrop is releasing a companion stylus to the Hard Candy Stylus, the $35 Gumdrop, which will be available in Fall 2012. It answers most of our gripes about the Hard Candy Stylus, while keeping what we liked about it: The Fisher Space Pen design remains, but has been crafted into a hexagonal shape, so that users can cap either end atop the rear of the stylus, rather than let it roll aimlessly about the table. The weight remains impeccably balanced. Ten One Design Pogo Sketch+: A revamp of Ten One Design’s very first iOS stylus, the $15 Pogo Sketch+ retains the same aluminum body and clip of the original, but swaps the foam nib for the bedotted 6mm rubber nib that the Pogo Sketch Pro favors. While we disliked the balance of the new rubber nib on the Pogo Sketch Pro, the Sketch+’s smaller body lends the tip more credence, and from the minute or so of test time we had with it, it looks to be a fine update to the venerable Pogo Sketch. Available now. Adonit Jot Touch, Jot Mini, Jot Flip: Adonit’s line of styluses—the Jot and Jot Pro—has increased this CES with three new offerings. We shared some first impressions of the pressure-sensitive Jot Touch elsewhere on Macworld; the Jot Mini and Jot Flip, meanwhile, are Adonit’s iPhone-sized and business-class styluses. The Mini comes with the Jot Touch’s new smaller precision plastic disk, along with an inverse clip carved out of its aluminum-and-steel body, and will be available in similar colors to the Jot and Jot Pro. The Jot Flip, in contrast, is available solely in polished steel; it has the 2-in-1 stylus-and-pen combination favored by business users, with a (literal) twist: The ballpoint pen appears and disappears like a James Bond dart contraption, twisting out of the rear of the stylus, then disappearing back flush into the circular surface. 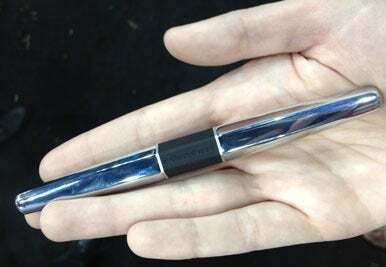 The pen also comes with a cap and silver clip, to protect the disk nib. Both the Mini and Flip should be available in the coming months. The Jot Touch will cost around $100, while the Jot Flip has a $35 price tag; there’s no price yet for the Jot Mini. FitBit Aria Wi-Fi Smart Scale: According to what we’ve been seeing at CES, 2012 is the year for getting healthy—and for keeping track of how healthy you’re getting with a few handy devices. For those trying to reach a certain weight goal, Fitbit’s $130 Aria Wi-Fi Smart Scale can help you track key data like weight, body fat, and BMI over time. The scale can include up to eight users, and all of the information is wirelessly sent to Fitbit’s app on your iOS device. The app lets you track everything over time, helps you analyze the data, and even share your weight with friends (though we’re not sure that will be the most popular feature). Wahoo Fitness Blue HR Heart Rate Strap for iPhone 4S: For those more inclined to keep track of their exercising rather than their weight loss, Wahoo Fitness’s $80 Blue HR Heart Rate Strap for the iPhone 4S will make sure that you know exactly how often you get your heart rate up. You wear the device around your chest area, where it can accurately detect your heart rate. The device then connects wirelessly to the iPhone 4S and sends all of that data to either a Wahoo iOS app or any one of the several other iOS fitness apps that it works with, including popular ones like RunKeeper and iMapMyRide. 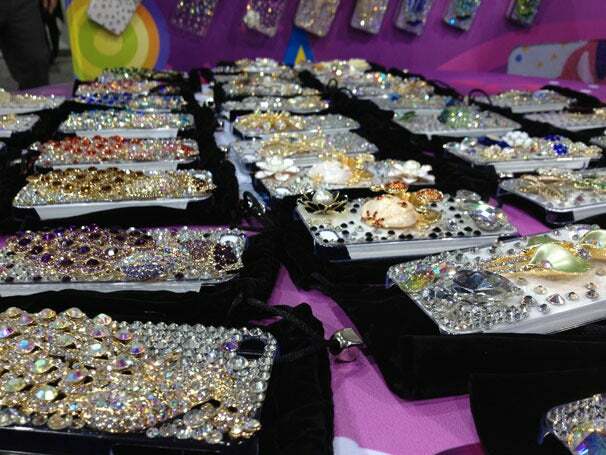 You didn’t have to look too hard at CES to find iPhone and iPad cases—usually festooned with rhinestones. It’s impossible going through the iLounge Pavilion—or any hall at CES for that matter—without turning your head and seeing a booth full of iPhone and iPad cases. While we saw a lot of unnecessary glitz and glamour—this year’s trend of rhinestone-covered cases was prominent with new or lesser-known companies—there were several that caught our attention for other reasons. Noetic ClickMate Series: Noetic introduced its ClickMate line for iPhone 4/4S, which includes the PowerPlus battery pack case, the Belt Clip case, and the Wallet case. The idea behind the series is that each case is super easy to clip on and off of your phone. We’ve seen a lot of cases that take quite a bit of effort to squeeze onto the iPhone, so we were impressed with these. Noetic hasn’t put a price on any part of the ClickMate lineup. Wallet cases: Case companies are making more iPhone cases that double as wallets. Both Speck and Case-Mate showed off cases that featured card slots for your ID, cash, and business cards. Case-Mate’s new Kayla Mini is a cute, pop-out case that has enough space to hold your iPhone and a few cards, while Speck showed off its CandyShell Card case that has a single slot on the back of the case. G-Form Extreme Edge for iPad and iPhone: If you want your iPad to survive a fall from space, then your best bet is G-Form’s $45 Extreme Edge for iPad. The heavily-padded though surprisingly lightweight case covers the back of the iPad, and according to G-Form, absorbs 90 percent of any impact. The company also previewed its Extreme iPhone case, made of the same material; it should be out later this year. Treehouse Labs Bikn iPhone Case: The forgetful will love the new Bikn iPhone case and dongles from Treehouse Labs, which helps you locate your iPhone and other belongings. The product, which has no announced price at the moment, works by using the myBikn app, connecting the case with up to 8 dongles, which you can attach to your keys, backpack, camera case, etc. We were especially impressed by the design—you can customize your Bikn case and dongles with different base and highlight colors. Mophie Juice Pack Plus Outdoor Edition: Mophie at CES debuted its latest battery pack, the $120 Juice Pack Plus Outdoor Edition, made specifically for hikers, bikers, and explorers. Not only does the case have Mophie’s signature battery power, it also turns the iPhone into a GPS receiver. By using the case with Mophie’s compatible app, you’ll be able to get access to maps and trails that are normally out of reach. 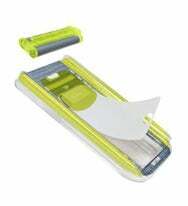 PureGear PureTek Roll-On Screen Shield Kit: We don’t usually get excited about screen covers, but PureGear’s $20 PureTek Roll-On Screen Shield Kit offers something that others don’t: A roller applicator that ensures you won’t have any bubbles under the screen protector. We got to see the kit in action on our own phones, and were very pleased with the results. We’re surprised somebody hasn’t thought of this before.